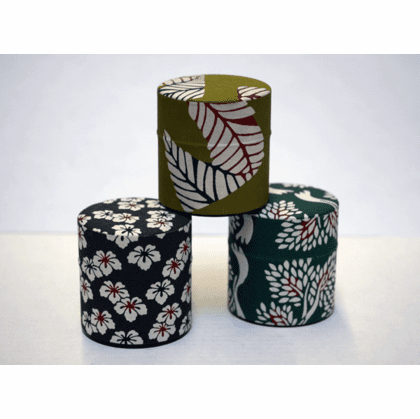 Three canisters in set for $24.95. 3" tall, 3" in diameter. Each holds 100 grams (3.53 ounces). Three leave patterns in this set, as pictured. Each has an inner plastic lid to keep your contents fresh.